Welcome to the UMB Mortgage website. We look forward to putting our mortgage services to work for you! We have a variety of mortgage solutions that can help our customers, whether they are searching for their first home or upgrading to a larger house to fit their growing family. Our experienced mortgage loan officers will work with you to through the intricacies of purchase to ensure you receive the best service while finding the home of your dreams. With UMB, you’ll find the right home loan for you. Purchasing a new home? This is an exciting time, but make sure you have a good understanding of how to ensure your purchase process goes smoothly. Read our mortgage checklist to help prepare for the day you get your keys. Congratulations on your decision to buy a new home! Applying for a loan? We've designed our online mortgage application process as an easy-to-use portal that lets you apply on your own time. Stop any time and pick up where you left off when you’re ready. After you submit an application, check your loan status online at your convenience. 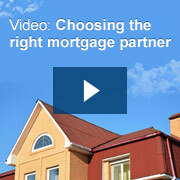 To learn more, watch a video about what to expect when applying for a mortgage. Buying your first home? First-time home buyers are sometimes overwhelmed by the search ahead of them. We’ve put together some tips that can guide you through the search and budget process, as well as an understanding of how pre-approval can give you an advantage. Looking for the right type of loan? UMB provides a variety of mortgage products and options to fit your specific need. Home Purchase Basics. Buying a home involves several important steps that offer unique challenges. Read our basics guide to learn more about choosing an offer amount, navigating home inspections and closing the deal.